Speculation is growing fast that Canadian-Austrian Magna Steyr, the largest automotive supplier in the world, is set to swoop for ailing Pininfarina with the Italian company issuing a hazy response after a stock exchange demand for clarification. The story that Magna Steyr was circling Pininfarina, which has seen its share value collapse as enormous debts mounted up following a string of misguided contract manufacturing programmes, was broken by Automotive News Europe yesterday, which cited three anonymous sources all with knowledge of the unfolding issue. 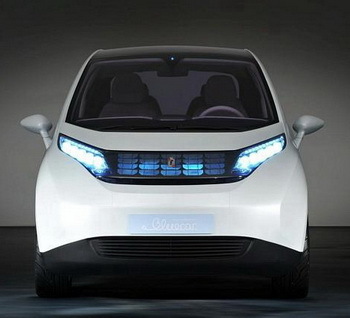 Both Magna Steyr and Pininfarina later declined to comment to any of the major newswires on the validity of the story. With Pininfarina's share price rocketing up by 12 percent yesterday on the growing speculation that Magna Steyr could provide a lifeline and a future for the famous company which celebrates its 80th anniversary this year, as well as gaining access to its innovative Bluecar electric urban project, the Italian stock exchange asked the design house for clarification. "Upon indication of the Stock Exchange Authorities and with reference to the news appeared today on the press, the Company reminds that the sale process of the Group started through commissioning this operation to “Banca Leonardo” on August 5th 2009," read a statement issued by Pininfarina in Turin. "As of today expressions of interest from potential buyers are being collected. Whenever a negotiation will have reached a stage enabling a communication to the Market, the Company will provide with the usual transparency." Last year Magna Steyr hit the global news headlines after it became locked in an intense battle with the Fiat Group and a smaller private equity house to take control of GM's cash-strapped European operations, Vauxhall/Opel, although these dragged-out negotiations eventually came to nothing when the U.S. carmaking giant decided to retain control of this division. Austro-Canadian Magna Steyr designs, develops and manufactures automotive systems, assemblies, modules and components, and engineers and assembles complete vehicles, primarily for sale to OEMs of cars and light trucks in our three geographic segments - North America, Europe, and Rest of World (primarily Asia, South America and Africa). The company's capabilities include the design, engineering, testing and manufacture of automotive interior systems; seating systems; closure systems; metal body and chassis systems; mirror systems; exterior systems; roof systems; electronic systems; powertrain systems as well as complete vehicle engineering and assembly. Magna Steyr has 245 manufacturing operations and 80 product development, engineering and sales centres in 25 countries on five continents as of September 2010.